Outsourcing developments for Earth Environmental Service Co., Ltd. since 2017, to develop advanced recognition technologies for small organisms. Almost 10 proposals have been achieved in cooperative collaborations. Outsourcing developments for Toyota Tsusho Co., Ltd., to estimate personality traits from text-based conversational sentences. On-board hardware solutions to recognize voices without InterNets, funded by the Public Interest Incorporated Foundation, Tokyo Metropolitan Small and Medium Enterprise Support Center New Products and New Technology Development Business Subsidization. Corporation Human Affairs and Education System. We confront to the utilization of our Original Core Technological AI after making AI R&D Specialized Department on January 2017 and arranged our Organization to make more Technologically Deep and Improve our Projects. We established the new “Core Technology Development Group” that Develops and Carries the AI Based Technology and “Product Solution Development Group” that conducts the Applied Development to improve the Develop Organization of Applied Products and established “Solution Business Group” to reflect move Clients’ Demands. We explained about our Business Contents and AI and madeGifu Prefecture Motosu City Itonuki Junior Highschool’s students, visited for consistency of school excursion deeply recognize by Question and Answer. We explained about our Business Contents and AI and made Sendai City Yagyu Junior Highschool’s students, visited for consistency of school excursion deeply recognize by Question and Answer. Roboken Co., Ltd. report that we had Enforcement accepted on Third-Party Allocation of Shares accepted by “Tokyo Kanagawa Innovation Support Number 1Investment of Business Limited Partnership”. and contribute to realize making the Society’s every Business Efficient and Advancement. Establishment Supporting Foundation initiated（on 2017/10) to support many Venture Capitals that Free Bank Co.,Ltd. associate with Tokyo TY Financial Group (Tokyo Metropolitan Citizen’s Bank, Yachiyo Bank and Shin-Ginko Tokyo) which is the Local Financial Organization based on Capital Region. Unlimited Liability Membership: Free Bank Co., Ltd.
Roboken Co.,Ltd. report that we had Enforcement accepted on Third-Party Allocation of Shares accepted by Earth Environmental Service Co., Ltd to make forward the business expansion. Roboken is going to Develop and make Practical the Deep Learning etc generalizing AI Technology and Activating our Original AI Technology, “epiRobo = Episode Memory Edit” the Structure of Human’s Hippocampus. With this we can make able to act like human brain like communicate with free style and characters or make able to conduct education to evaining etc. * Outline of Earth Environment Service Co., Ltd.
Earth Environment Service Co., Ltd. has Corporate Philosophy to contribute the Society by the highly Specialized Engineering Service such as “General Environmental Sanitation” and conducts the General and Systematic Environment Sanitation (Software, Hardware and System) which has a purpose of saving from the Environmental Origin Pollution and Extraneous Material　Mixture from the Medical, Pharmacy, Cosmetics, Toiletry and has the purpose of Preventing Hospital Infection on Medical Institute. 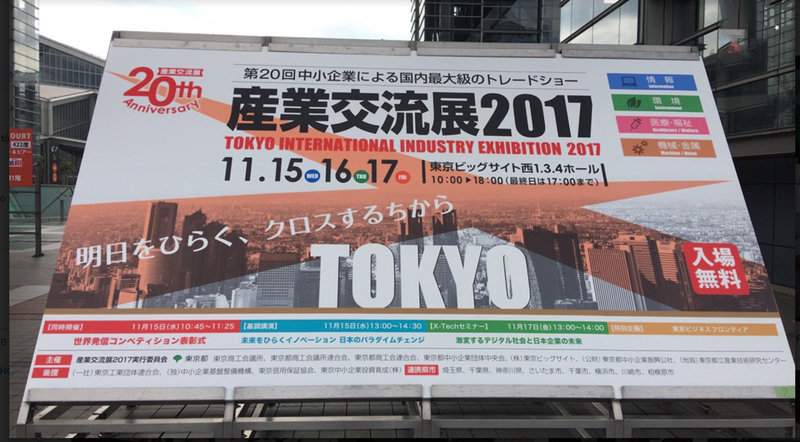 We Exhibited to the Industry Exchange Exhibition 2017 from 2017/11/15 to 17.